When wild horse rescue director Tom Watts is found dead on Duck Road, newly re-elected mayor Dae O’Donnell is determined to find out who killed him. Her friend Jake Burleson is accused of killing Tom even though the two men have been good friends for years. The problem is the excavation of the horse cult that’s been happening on Jake’s property. Tom and several archaeologists working on the project think that Jake should give up his land to widen the search for artifacts. Jake won’t do that. It’s not that Jake hasn’t been acting strangely. He shoved one of the ancient stone horses into Dae’s hands when he knew she was afraid to touch it. He’s obsessed with stopping the excavation—maybe to the point of killing Tom. But Dae thinks there may be more to the story. Jake’s determination has shown her what the horse cult was used for thousands of years ago, the destruction the demon horses brought before they were stopped. She’s afraid something of the past may have already returned to the Outer Banks of North Carolina, and there may be more deaths to come. Featuring Pet Psychic Mary Catherine Roberts! The writing team of Jim and Joyce Lavene never cease to amaze me. They keep coming up with great novels that keep a person turning the pages. This novel did not disappoint. This was my first trip to Duck and visiting with Dae, but I will surely be back to visit. The spiritual and enchantment element that Jim and Joyce put in the novel was so believable, and I just loved the pet psychic Mary Catherine Roberts. I also loved learning about the horses of the Outer Banks. 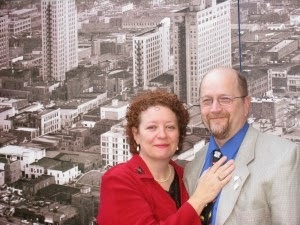 Congratulations, Joyce & Jim! 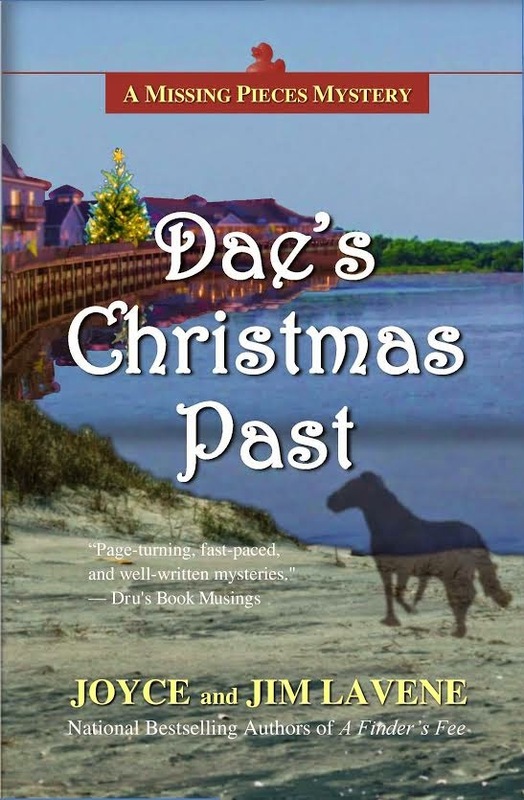 Looking forward to reading Dae's Christmas Past. I'd love to read this story. It sounds wonderful! Great review,Melina! Thank you. Love this series and can't wait to read this book. Two years ago I had a Joyce and Jim cozy summer. I ready every book by them in the library system. I enjoyed them all, though the NASCAR one was my least favorite.